The Mac command line offers a faster, easier way to accomplish many tasks. It's also the medium for many commands that aren't accessible using the GUI. 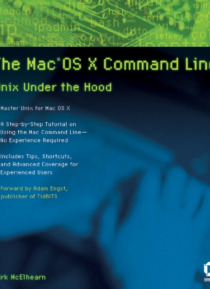 The Mac OS X Command Line is a clear, concise, tutorial-style introduction to all the major functionality provided by the command line. It's also packed with information the experienced users need, including little-known shortcuts and several chapt… ers devoted to advanced topics. This is a book to get you started, but also a book you won t soon outgrow.